The very 1st Book on 432 Hz. 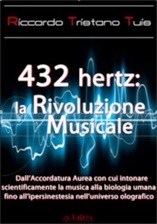 THE 2nd book on the 432Hz subject, by musician Riccardo Tristano Tuis (Archangel), published by NEXUS Magazine Italia. This book is so thorough & complete in the A=432 Hz music science, & well researched. 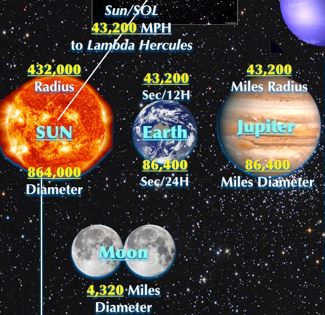 ANANDA wrote a detailed introduction for Riccardo’s book on A=432Hz. Read it here in its original form, NEXUS magazine Italy, cut it short. Here is the TRUE original as it was written. Packed with interesting details on this harmonic music revolution. 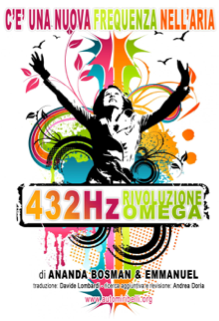 An Extensive Article on the 432Hz Music Revolution, Published in Edition #23 of “Scienza e Conoscenza”, the noted Italian Science Journal, in every News stand. Our Scientists have Measured that ONLY the FUL 432Hz & AUMega Harmonics come across in 44,100Khz/16bit (CD Quality) format or better (MUCH lost in MP3, it cuts out low frequencies including 8Hz... 70% or more is Lost). 432 Hz Music MUST be in the Highest Quality possible for macro coherence. 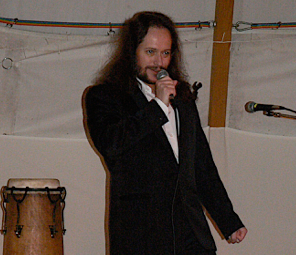 Ananda’s Concert’s are at the ultra high quality 96,000Khz & 192,000Khz/24 bit. 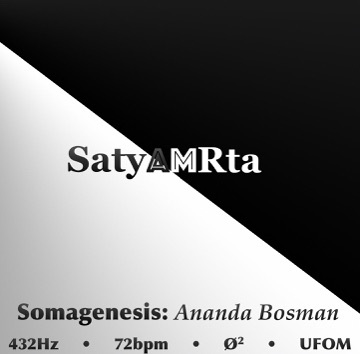 432hz.com will soon be hosting downloadable 44,100Khz/16bit & HIGHER QUALITY versions of Ananda Bosman's CD's & Other Artists tuned at A 432Hz. Please Link THIS SITE when quoting from its pages, including the Universal Dances page. A MAJOR NEW ARTICLE GRAPHIC RICH IS SOON COMING FROM ANANDA BOSMAN. The Article You Have All Been Waiting For will soon be posted. Stay “A”tuned. 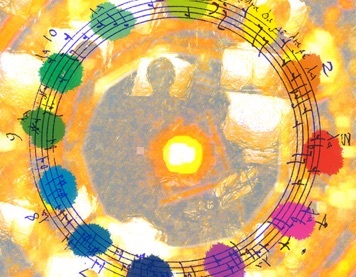 The Overall Vision, Siginifance, Overview, Health & Creativity Inducing Potential, Sacred Geometry, Architecture of Creation — & The Future of the Music Movement tuned to 8Hz & 432Hz, as the Universal Language to Link Mankind Globally as a species attuning to the Heart of the Cosmos, Earth, Life & Self: in Gølden Coherence. 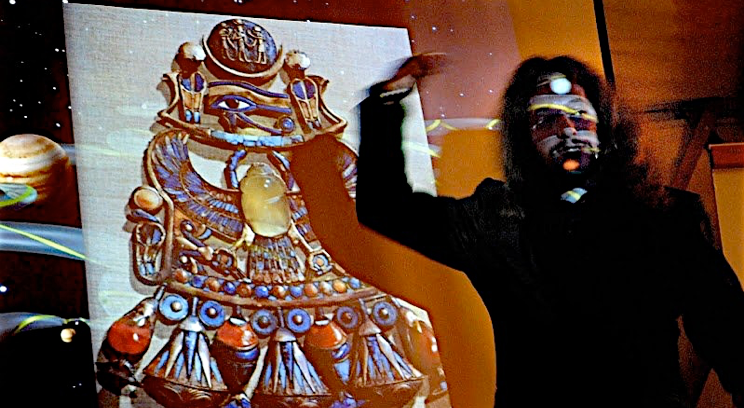 Ananda Bosman in Co-Ordination with La-Plastique, Featuring ZU, & Marco Fincati. 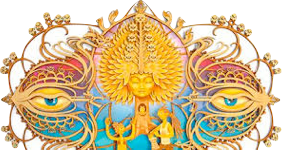 Over Two Days Ananda will present the 432Hz 8Hz AUMega Music Revolution & its Musical Effects on our Wellbeing, Vision of the Future for Universal Harmonic Music & Mankind in Harmony with the Cosmos! Brand New cutting Edge Multimedia Animations showing the Music Architecture of Creation, Upon the Soundscaape of AUMbience and AUMedia Music carrying the presentations. 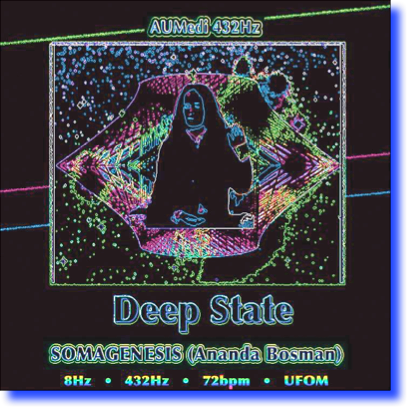 BENESSERE E TRASFORMAZIONE IN ARMONIA CON IL COSMO"
NOVEMBER 2014 Ananda Bosman’s NEW album DEEP STATE is NOW here. 4 years in the works, & FINALLY MASTERED, this quintessential work of deep music for traversing the meditation planes from Ananda is now available. A completely different kind of music style, to Ananda’s Previous creations. AUMbience of the Heart & AUMega Music Revolution are good for background energy, driving & charging. This one is for deep states of consciousness & Meditation. A double CD that takes you on a highly specific harmonic journey. With deep touching melodies that sweep the soul encompassed in new sounds & effects on a myriad of scales. 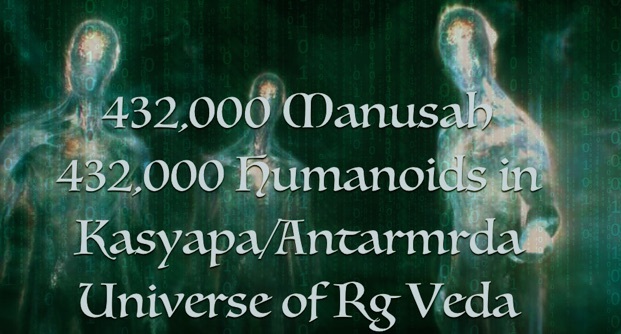 Attuned & organized by Sacred Geometrical principles, & even more interrelations of 8Hz, 432Hz, & UFOM than ever before. Complementary to the Deep State style at 72BPM, joining the A=432 Hertz music tuning we expect from Ananda, there are surprises in store here. The packed full larger double CD, has been pre-released for an exclusive fan list (enquire). Final NEW kind of Mastering in 2016/2017 Audio DVD. After 2 months BoOM 432Hz 1st mastering of the set is ready. NEW AUMEGA REVOLUTION ARTICLE JUICEY DETAILS from 2003 Finally ONLINE... Go to the New NEWS page, for Reviews, Reports, & Latest 432 Hertz NEWS. For Evidence on Compassionate Love effecting biology, read the papers of HearthMath Institute, their objective studies. For 8Hz the science papers of Dr. Andrija Puharich. 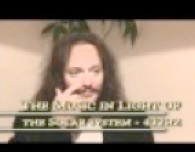 Over 17 years ago (1998) Ananda Bosman founded the first modern popular 432Hz Music Revolution (Omega/AUMega 432Hz Music Revolution), composing music also in harmonic tempos, like 144 BPM, 8 Hz, & a new form of Sound Mastering using Sacred Geometrical Number Harmonics, called UFOM: Unified Field Overall Mastering, in addition to the A 432 Hz tuning. Now the Vision is manifesting as 100’s upon hundreds of musicians are meanwhile retuning to A=432 Hz. The inevitable NEW MUSIC TUNING STANDARD. 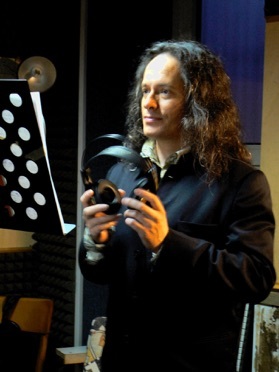 A 432 HZ MUSIC REVOLUTION envisioned over 17 years ago by Ananda Bosman, founding the 1st historical popular Music tuned at A 432 hz, together with DJ NKI. NOW the vision is manifesting, as HUNDREDS of new musicians are retuning their compositions to 432Hz! “A” 432 NEW TUNING REVOLUTION CHANGING THE MUSIC INDUSTRY FOREVER. 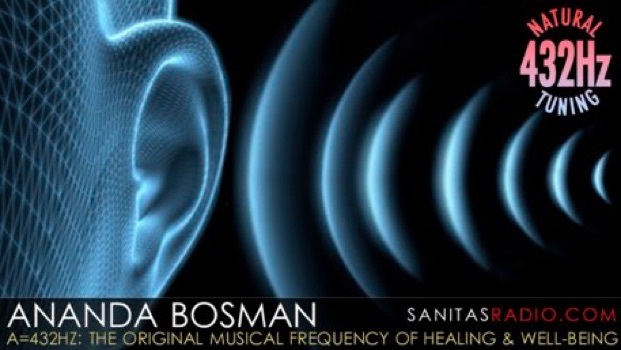 Ananda Bosman, having first publicly spoken about the necessity of applying 8 Hz & 256/512 Hz harmonic music to rave music, in 1992, (432 Hz in 1994) — 15 years ago (2000AD), Ananda searching the internet for other pop musicians tuning to A=432 Hz, found a vacuum — there were no popular musicians tuned to 432 Hz on the web!!! 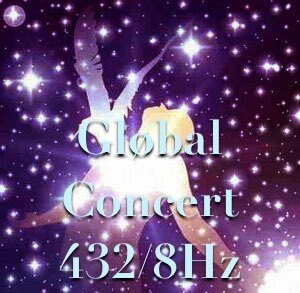 The NOW on the horizon, "Global Song-432", as a Global Concert of unified concerts tuned to 432Hz, as envisioned by Ananda Bosman, is starting to germinate, as a fusion of artists compose ONE SONG globally, together, amidst a “Global Concert-432”, in Earth Grid Points. Rock n Roll & The UFO are indivisible! 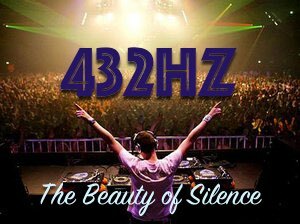 The hundreds upon hundreds of musicians that are retuning to A=432 Hz, is the first glimmer of a new harmonic 432Hz Music Revolution that will transfigure musical culture on this planet, with HeART. Ananda Bosman is the leading headline of this issue of ‘Scienza & Conoscenza’, THE leading Science & Consciousness magazine in most Italian Newsagents. 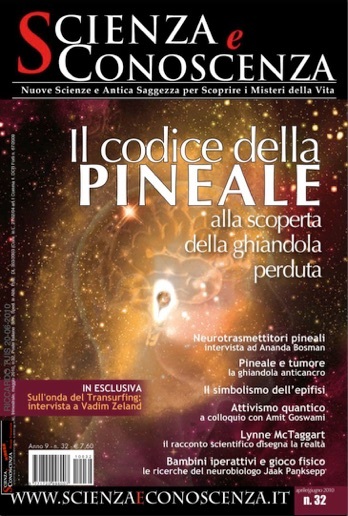 Riccardo Tristano Tuis’ interview with Ananda is the feature 6-page article of this 32nd issue, on the pineal gland. 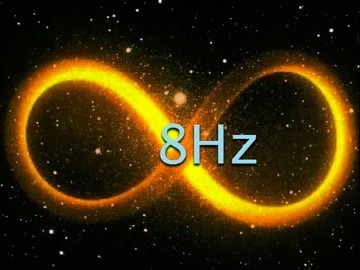 The AUMega Music Revolution’s 8hz and A 432 Hz, is implicated therein. 432 Hz Music makes every one Feel the Art.